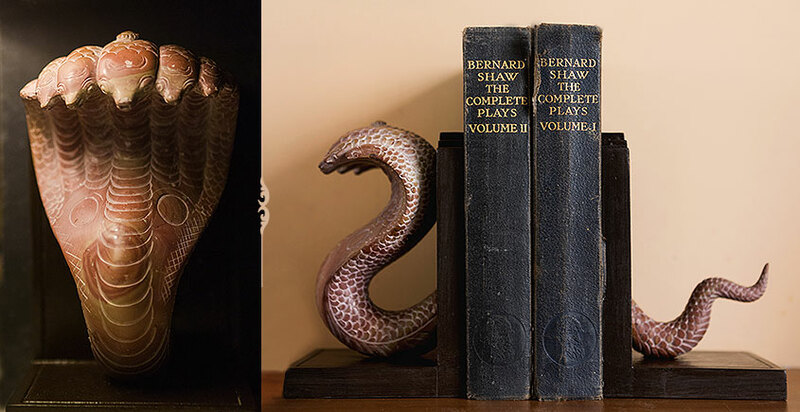 About Product : Dwelling at the heart of the earth, snakes are often considered to be the keepers of the earth’s endless mysteries: making them a symbol of wisdom. The Sanskrit word 'Ananta' means 'Endless' and the multi-hooded serpent 'Ananta' signifies infinite wisdom. 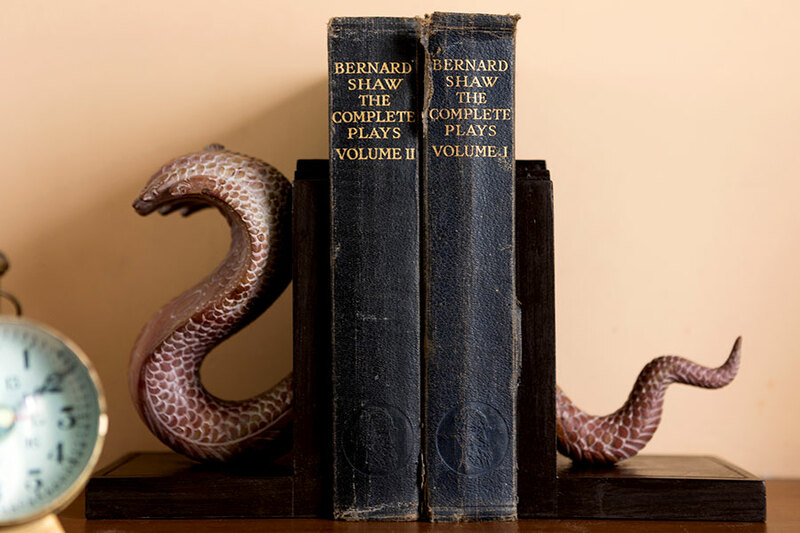 Our Ananta bookends draw inspiration from this metaphor of infinity. As you embark on an endless quest for knowledge, the serpent of wisdom comes to life. 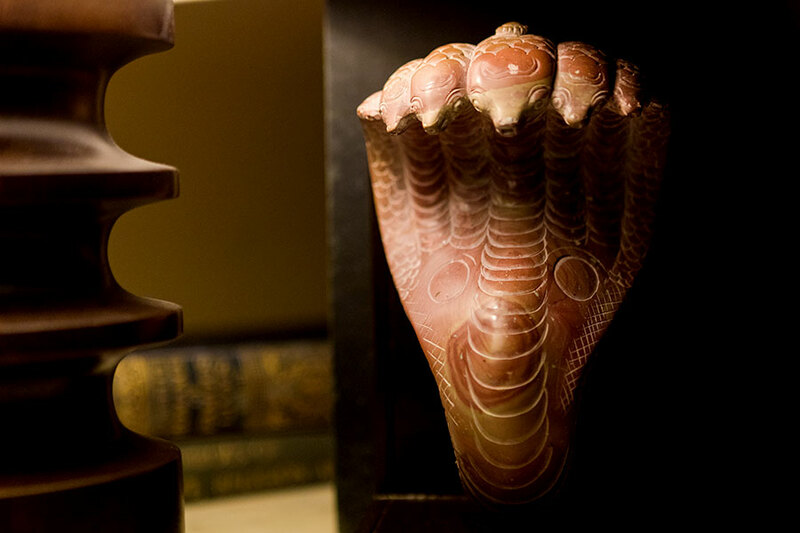 Karu brings you exquisite craftsmanship imbued with an indigenous spirit representing stories and legends dating back to thousands of years. 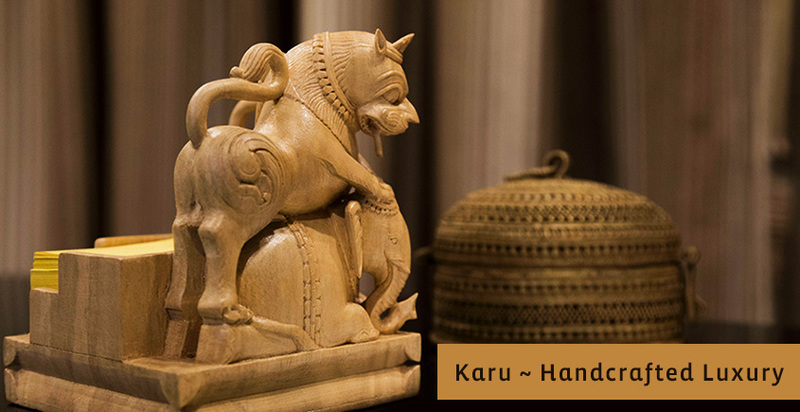 At Karu, each object d’art represents beauty, heritage, and the timeless wisdom of India. While our vision is to create exclusive pieces of handcrafted art for modern spaces, it is also our mission to transform and support Indian craftsmen and provide them with sustainable livelihoods to enable them to keep traditional skill-sets alive in a modern context. That is what helps us deliver unique handmade items that express the personality and creative expression of the artisan. At Karu, we deliver timelessness in a fast-paced world! 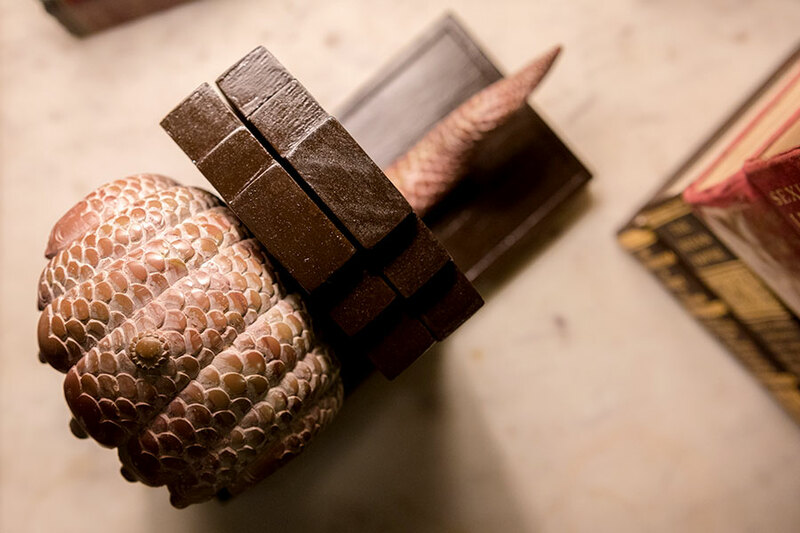 We celebrate luxury carved from our roots. So come, be a part of India’s legacy. 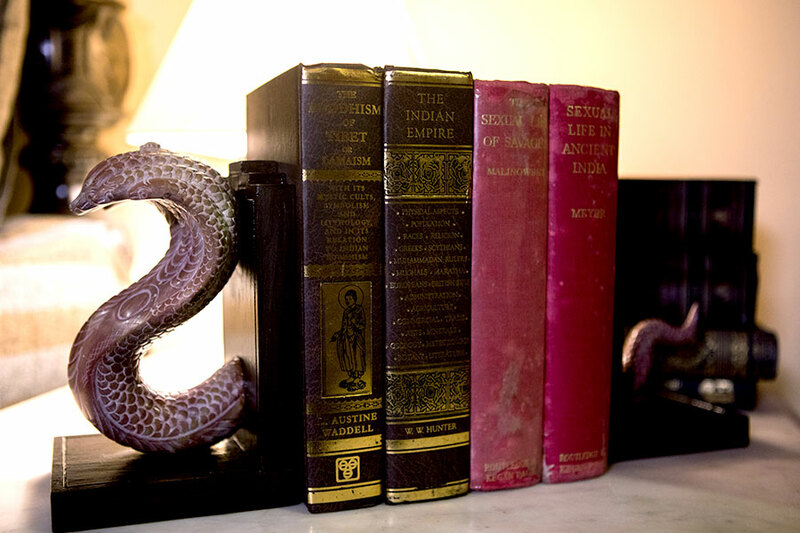 A designer from Kolkata - an avid history and culture enthusiast, Ishan is passionate about all things Indian. A graduate of Symbiosis Institute of Design, Pune, Ishan's work is inspired by classical South Asian art, religious iconography and Indic thought. He believes it is his life mission to infuse the grace and wisdom of India's traditions and art forms in his work. 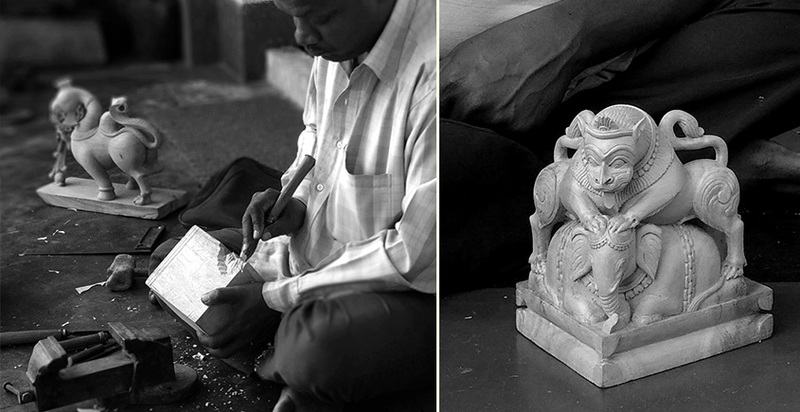 The synthesis of folk and classical forms constitute the woodcarving traditions of Odisha. Her craftsmen have assembled a collection of beautiful and utilitarian objects that exhibit sharp, fine features and an exquisite needlework finish. Designed and etched with careful detail, the products are made from a soft and light cream wood called Gambhari or white teak. The wooden objects are textured, finished with great smoothness, whittled and carved to utmost finesse. The alluring stone carvings of Odisha mirror a glorious past and a rich heritage. 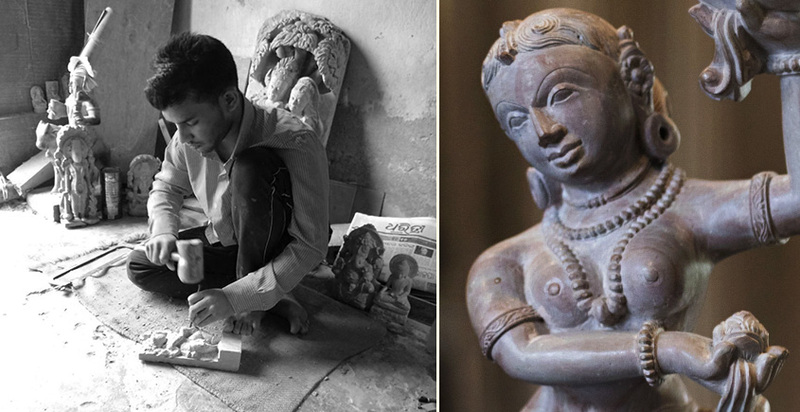 Evolved and perfected through centuries by the deft hands of artisans who descend from the builders of ancient temple - they are not only a timeless reflection of an eminent tradition but also frozen stories in stone. Care Care Instructions • Please keep all wooden products at least one meter away from a direct source of heat (heaters, radiators, fireplaces etc.) • Direct exposure of wooden products to sunlight may lead to loss of the original colour • Remove spilled liquids from wooden surfaces as soon as possible. • Please Clean our products using a microfibre cloth • Please refrain from placing hot or very cold objects directly on wooden surfaces • Please do not pick up articles by their delicate parts (such as ears, arms etc). Handle these precious creations with care.